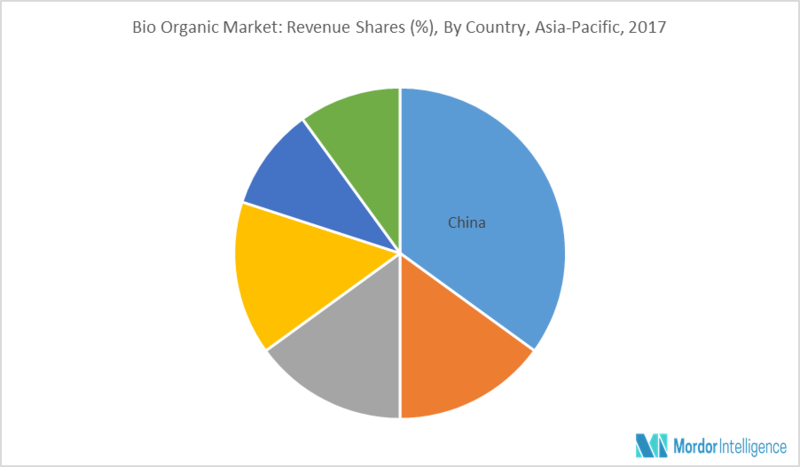 The Asia-Pacific Bio-organic Acid market is expected to register a CAGR of 7.1% during the forecast period. Bio-organic acids are produced from the fermentation of microorganism and are used commercially, such as catalysts, surfactants, and dyes. They are produced from bio-based raw materials, such as corn, maize, sugar, and biomass. The demand for organic acids produced from renewable raw materials is growing largely due to the adverse environmental effects of conventional organic acids. Organic acids produced from natural raw material sources can be a potential replacement for synthetic organic acids. Organic acids are one of the key products used to produce a diverse range of intermediates in petrochemical industry. Bio-organic acids can be a potential replacement for petrochemicals in some of the key application areas, such as polymer, food, coatings and healthcare. Organic acids used for these applications include fumaric acid, acrylic acid, lactic acid, succinic acid, and acetic acid, among others. Bio-renewable organic chemicals, like lactic acid accounted for a significant share in the bio-based chemicals market. The platform bio-chemicals market is hitting market maturity - ranging from mature markets, like lactic acid to nascent markets, like succinic acid. The strongest growth is expected for secondary chemicals, such as PLA, polyhydroxyalkanoate (PHA) and bio-ethylene, which are used to manufacture bio-based plastics. Increasing regulations on applications of petrochemical-based products are acting as a driver for bio-organic acids market. This, in turn, is anticipated to boost the Asia-Pacific bio-organic acids market during the forecast period. China's bio-organic acid market is growing dynamically. Most bio-organic acid production is concentrated in the north-eastern provinces and on the coast, namely in Shandong, Heilongjiand, and Zhejiang. In recent years, bio-organic acid production in the north-western provinces, like Sichuan, Guizhou and Inner Mongolia has been growing. In order to increase the market share of various global companies in processed organic products and to take account of rising demand in China, more than 50 international companies have taken the initiative to exploit the potential that is undoubtedly present in the country, by setting up various production site and distribution channel. Major Players: BASF SE, Qingdao Seawin Biotech Group Co., Ltd., Qingdao Future Group, GF Biochemicals, and Mitsubishi Chemicals, among others.